It is 90 years since the battle of the Somme, the bloodiest in a world war that has all but passed out of living memory. 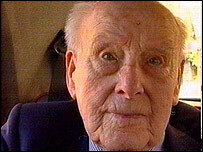 The oldest surviving British soldier from the period is Henry Allingham, aged 110 - one of the lucky ones. When war broke out in August 1914, some one million men joined up in the first year of the conflict, as Britain strove to bolster its standing army. 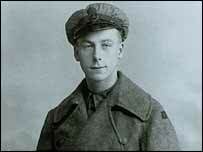 The teenage Mr Allingham, however, did not rush to enlist. "On 4 August I wasn't too troubled," he said. "I didn't realise what it really meant." It was only later, when he realised how severe the situation was, that the young man who grew up in Clapton, east London, decided he wanted to join the fighting which, like many others, he regarded as "an adventure". After joining up, Mr Allingham trained as a mechanic and served with the Royal Air Service, flying patrols of the North Sea as a navigator and repairing aircraft and engines at the battles of Ypres, and at the Somme itself. "It was the first time I went near a plane," he said, pointing out that the world's first powered flight had only taken place a few years earlier. His first experiences of flying were disarming. "They didn't have much speed with them. Sometimes they'd be coming along and the force of the wind would have you standing still. Sometimes you'd be flying backwards," he said. As well as the Somme, Mr Allingham also served as an airborne spotter at the Battle of Jutland in 1916, in which the British Grand Fleet established dominance of the North Sea, despite losing a number of ships. He said his own ship, the Kingfisher, faced disaster when a German shell ricocheted and was heading directly at the ship. However, a stroke of luck saved the crew when the shell "bounced over the top of the ship". "Where it went I don't know but it was a saviour for us. If it hadn't [bounced], who knows, the whole ship would have been gone." While Mr Allingham faced obvious dangers, he thinks he had an easy time compared to those who served in the infantry. "On the western front, men in the trenches stood in water up to their knees. They had to eat and sleep in that water. How did they manage?" he said. He was full of admiration for those men who, he said, regularly had to march for miles at a time, only to stop and dig trenches before marching on again. "They were like hermit crabs. But I've always said the men in the trenches were what won the war for us." Following his service at Ypres and the Somme, he was awarded France's highest military honour, the Legion d'Honneur in 2003. And after losing two of his World War I medals - the British War Medal and the Victory Medal - in the Blitz, Mr Allingham was presented with them again at a special ceremony at Eastbourne in East Sussex, where he now lives, in February 2005. Mr Allingham's military service did not end with the Great War and during World War II he worked on magnetic mine counter measures. He retired to Eastbourne 40 years ago, where he has outlived both his wife and his two daughters, who both died in their 80s. In August 2004, Mr Allingham led the congregation in a reading of the Lord's Prayer at the Cenotaph in London in an event to mark the start of World War I and on Armistice Day in November 2004 he laid a wreath at the Cenotaph. Asked to sum up the secret of his long life, he said: "I don't know if there is a secret, but keeping within your capacity is vital."